We've seen all colors of the affordable iPhone leaked already, or at least claimed to be the shells of Apple's assault on the booming midrange market. Now another photo gathers them all together, but this time the shell colors don't look as flashy, meaning either an overzealous saturation from the previous photographer, or that Apple has played around with different hues to see what sticks. Sorry I wasnt sure if you where joking nor not its hard to tell in writing...sorry bro! you dont know to take a joke.dont you? Nokia didn't invent colors, but they're the ones who proved colorful touch phones can be beautiful. Everyone kept making black and white phones and were afraid of using colors until the Nokia N9 was launched. 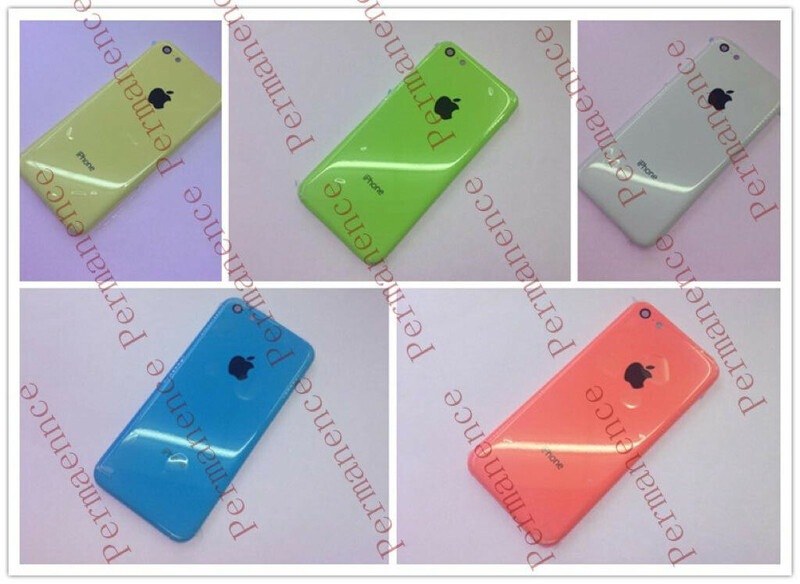 Apple could just be copying their colored iPods. Ya think? It's not immature to protect your legal properties. Apple had a winning phone design that was patented and helped sell tonnes of iPhones, and Samsung used it without permission and made money out of it. Samsung is using more original designs now, but their old iPhone-esque devices like the SII arguably look better. With a physical home button at the bottom center of the phone unlike anything other then an iPhone. IMO they are just applying the colors of their ipods to the iPhone lite, they have the same color options as iPods if im not mistaken. I do like the lime green though. It's a refreshing change WH. No better than anything else, just a nice new look. My fiancé loves them...women lol. I actually prefer it to the iPhone 5(s). The iPhone 5 looks great at first, but give it month and it's a scratch-nick-scuff fest.....even with a case. Should've gotten the white one.. I like that peach pinky type and gray :). Looks like they stole the color palate from Miami Vice, not Nokia. Yuck.